so, my kids know the truth about Santa. we don't pretend he's the one bringing them Christmas presents. we don't threaten them to be good because Santa's watching. we are good sports about it, and we wave hello to mall Santas, but we don't give him any credit. Christmas is all about Jesus in our home. and believe me, my kids (ages 7 and 4) aren't missing out on anything. my kids love Christmas just as much as the next child does. ...except maybe that child who's Mom is an Elf on the Shelf superstar. you know what i'm talking about: that Mom who comes up with amazingly hilarious and creative poses and positions for her family's Elf every day in December, giving her children a thrill each morning when they find the Elf's Pin-worthy antics? oh, it all looks like so much fun. i really am a Fun Mom. but that Elf on the Shelf business is completely focused on naughty and nice, Santa's list (of good children and bad children? ), and gift-getting. not our M.O. 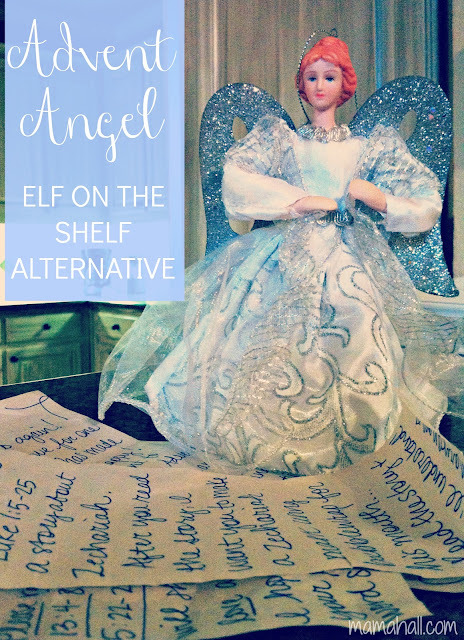 so, not to be out-did as a Fun Mom, i made up my own non-Santa version of elf on the shelf. Mary, as named by the children, hides in a silly place every night. in the morning, the kids find her and read the letter that she carries in her arms. the letter tells the children their Advent activity and devotional for the day, from Truth in the Tinsel. yep, Mary knows Amanda. 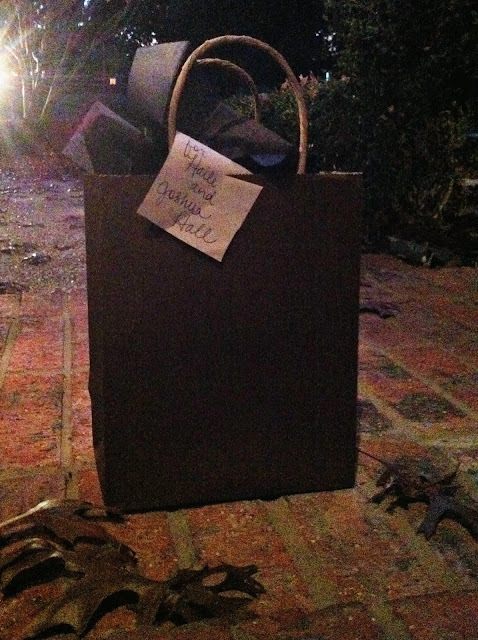 the Angel arrived gift-wrapped on our front porch on the evening of December 1, with a letter explaining her mission: to celebrate the coming of Christ and keep Him the focus of Christmas through fun activities, crafts, and Bible stories. 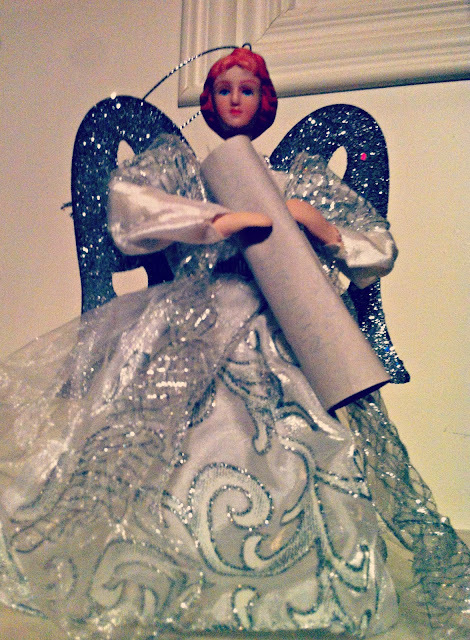 Mary is an ordinary tree-topper angel that my children picked out, not fully aware of why we were bringing her home. but now they know, and she is anything but ordinary. Mary is fun, funny, beautiful, she knows her Bible, she has great hiding places, and she gives my kids a little thrill each morning. "Let's go find Mary!" and "What does Mary's letter say today?" 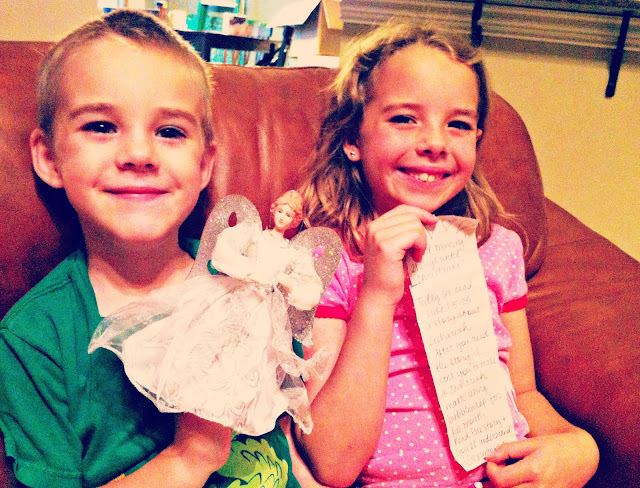 when they find her, we read her handwritten letter, read the day's Bible verse(s), and make the accompanying Advent ornament or craft. Mary helps us intentionally keep Christ in Christmas.